How small businesses can benefit from social media. Businesses are realizing the changing trends and marketing trends with the passage of time. The internet has changed the way things were marketed and advertised in the past. There is no doubt that it has outshined the importance of TV and print media in many aspects including marketing and advertising. However, there is still a lack of information on how to make the most from the internet to make a business successful. Every week, millions of websites are launched by individuals from all around the world however we don't always get to see them in our search results. There are reasons why we never get to know about them. Every day we come across a lot of misconceptions about marketing on the internet. One of the biggest misconceptions is that social media marketing is only meant for large businesses. People who think social media is only for large businesses argue that only when a business has some recognition will it be recognized further on social media. It will only be able to get attention when people already know about it. The truth is the exact opposite. Social networking platforms are actually meant for small businesses to benefit from them and become big businesses. Saying that social networking platforms are good for large businesses is similar to saying that international courts, stadiums and grounds are only meant for recognized teams. Google +: Google + is the social networking platform that grew its user count at highest speeds. It expanded at a faster rate than Facebook. Google + is known for having a very professional look and a layout that greatly goes in the favor of businesses. People and friends are added in "circles" on Google +. The idea of circles is quite unique and using circles effectively can bring great benefits to your business. You can start communities or your business' own page for free on Google + too. Not to mention, you are automatically visible in Google search results without any efforts once you have a page or profile on Google +. Facebook: Facebook is still the ruler of the social networking world. It's the biggest social networking platform. Facebook is currently helping businesses in placing their ads to targeted visitors. This is a paid service but an amazingly profitable one. Having a page on Facebook means you are available to every 13th person living on earth. Get some Facebook fans and likes on your posts and your ranking will automatically get better on search engines. Twitter: Twitter has emerged as one of the most influential social networking platforms. Share your thoughts, news and ideas in 140 characters. Twitter allows you to get to the point quickly and allows people to easily read what you have tweeted. These small Tweets are easy readable and people do take time out to read them since they know they won't be reading more than 140 characters. An interesting fact about Twitter says that nearly 49% of users that engage Twitter on a monthly basis are follows of certain businesses and brands. LinkedIn: Talk about the most decent, sober and business oriented social networking platform and you will get to LinkedIn. If you didn't know, 41% of the people who have accounts on LinkedIn like to access it from their mobile devices. You can imagine how you can be at the fingertips of millions of people by having a page on LinkedIn. There are 300 million users on this social networking platform and this could just be the place to give a boost to your business. Lastly, you must not live under the impression that social networking platforms are only meant for large businesses, because they are not. These are the places with the highest number of people from all around the world communicating with each other 24/7 and 365 days a year and you get to interact with this huge audience at no cost at all. 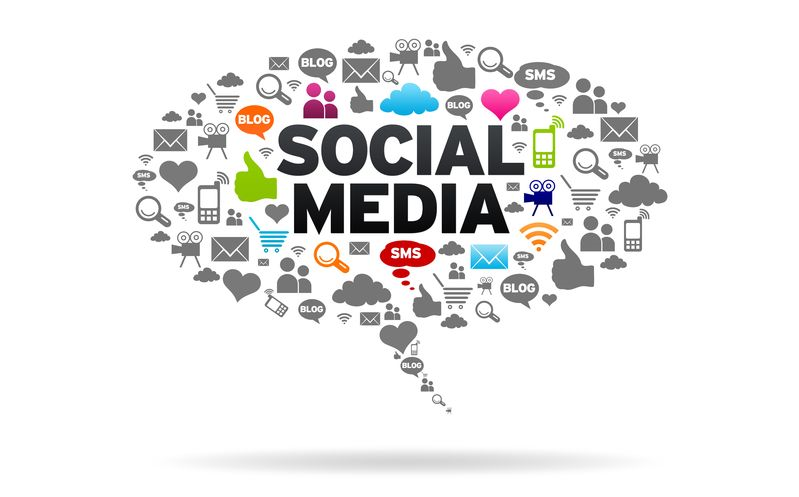 For help establishing an effective social media strategy to make your business stand out - contact us today!